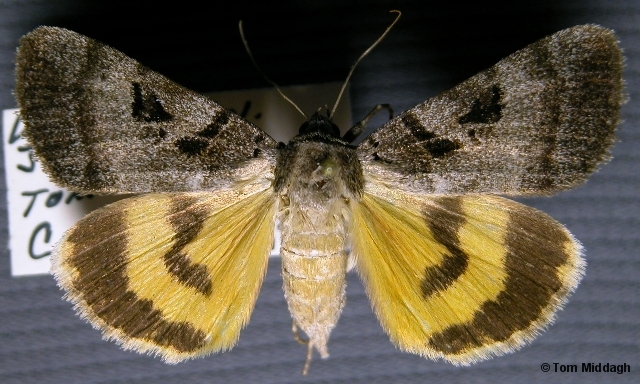 Identification: Similar to Catocala nuptialis, but with solid black triangle formed by am. line, narrowest at costa. Life History: Emerges later than C. nuptialis and C. abbreviatella where ranges overlap. Range: Ohio to Tennessee, west to Manitoba and Kansas.